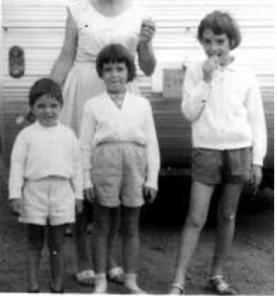 The Beaumont Children , Jane Beaumont ( born 1956 ) , Arnna Beaumont ( born 1958 ) and Grant Beaumont ( born 1961 ) were taken from Colley Reserve , Glenelg Beach, South Australia on Wednesday the 26th of January 1966 . At the time of their disappearance, they were aged 9 , 7 and 4 respectively. From Glenelg, they were never seen again. This disappearance was unprecedented in Australian criminal history. The Beaumont case resulted in one of the largest police investigations in Australian criminal history. 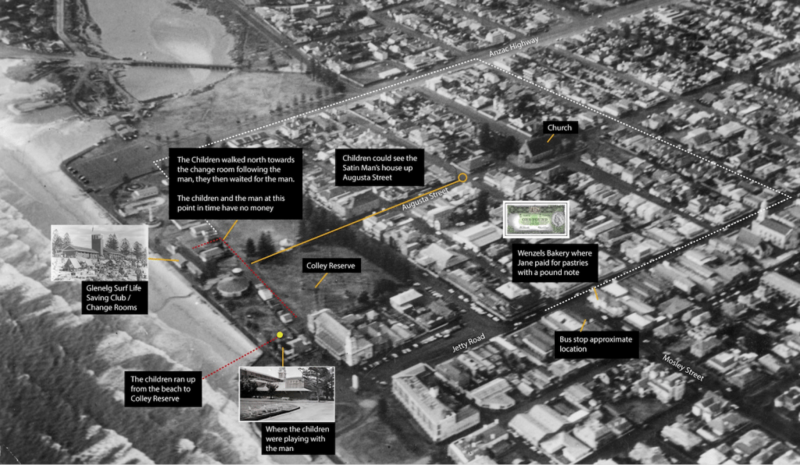 This case still remains on of Australia’s and the worlds most infamous cold cases. 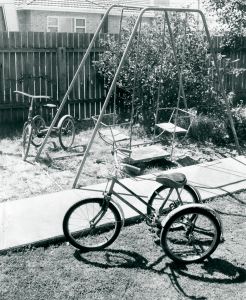 Even as the decades passed the huge amount of attention given to this case and its significance in Australian criminal history was and is immense and the fact that the mystery of their disappearance has never been explained. It is difficult enough to take one child, which is one child too many let alone three without being spotted .The taking of three children has not been done before nor since anywhere in the world. The Beaumont children were so eager to go to the beach this day due to the dry South Australian heat which was stifling hot around 100 degrees or 40′ celsius . 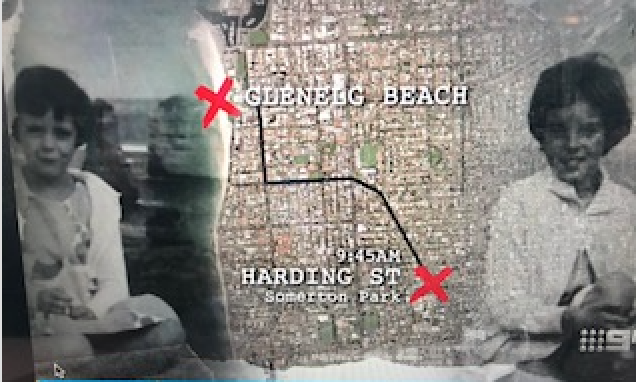 Initially the children wanted to ride their bikes to Glenelg beach which was around 2.5 kms to 3kms (1.5-1.8 miles) away . However , due to the intense South Australian summer Nancy Beaumont , the children’s mother insisted they all catch the iconic red and white Worthley’s bus from stop 26 Diagonal Road near their house .The bus ride was only 10 minutes to the beach and originated from Seacombe Gardens a few suburbs south . Many thanks to Channel Nine. Nancy gave Jane eight shillings and sixpence in pre decimal currency ( about 85 cents ) to spend on a drink and something to eat for all . Chapter 17 .This information was gleaned from the original police report supplied to Whiticker and Mullins . Jane placed the money in her white clip purse which she kept with her wherever she went . Her school friend at the time now in her sixties stated she loved the purse . It made her feel grown up . Jane Beaumont carried it everywhere . Nancy had also briefly heard from the children that Jane had a boyfriend at the beach but didn’t think much of it at the time . 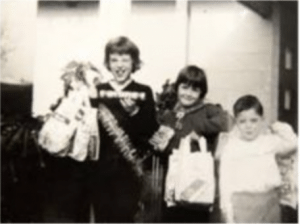 Jane , the eldest child was considered by her parents and friends as responsible enough to care for Arnna and Grant .The children left home at approximately 10am where they took the worthleys bus and were expected to return home by bus around noon . Glenelg beach in summer was the place to be for school holidays . The sweeping grassy foreshore was crowded with beach goers well into the cool summer evenings .The white Glenelg sand and waveless ocean was Adelaide’s premier beach and the place to spend a hot summers day with your friends. All this was coupled with the Colley Reserve side shows / fun fair , a real highlight to cap off an adventurous day for the kids . Children walking or riding there bikes to and from the beach was not unusual at all . Neither was catching the bus for youngsters . Jane Beaumont dressed in her pink one-piece bathers pale green shorts and canvas sand shoes with white soles . She also took with her a paperback copy of Louisa May Allcott’s Little Women . Jane carried three drying towels inside a generic airways type bag ( possibly blue ) . She had the money her mother Nancy gave her in a white clip purse placed inside her airline type bag . Arnna Beaumont wore a one-piece red and white striped bather tan shorts and tanned sandals . She sported a bright orange hairpin in her hair . Grant Beaumont wore only green and white bathers under green cotton shorts and red leather sandals . The Beaumont children arrived at Glenelg Beach by bus at Moseley Street across the road from Wenzel’s bakery by mid-morning . A short walk from there and the children were at Colley Reserve and the beach . A woman saw the Beaumont children between 11 am and 12 noon . She was sitting on a wooden bench near the Holdfast Bay Sailing Club / Yacht Club Glenelg when she saw two girls and boy come up from the sea after a swim in the calm waters of Glenelg beach . This is where the Beaumont children laid out their towels in the shade of a secluded corner of the Colley Reserve foreshore hidden by the Holdfast Bay Sailing / Yacht Club and at the back of the sideshows . This was their usual spot when at Glenelg Beach . The children began playing and running in and out under the sprinklers having fun . According to one witness this is where the man was lying on his towel watching the children . This is where Jane , Arnna and Grant Beaumont went over to this man and started playing games with him . Grant the young boy was jumping over this man . The younger girl Arnna followed and then Jane began playfully flicking him with her towel on the lawn area just 10 feet from this witness . The ariel view below is of Colley Reserve in the mid-1960’s. The aerial views depict where the children were playing with this man . Where the children initially followed the man north and away from there bus stop and Wenzel’s bakery to the Colley Reserve change rooms .The aerial view also shows Wenzel’s bakery and the Beaumont children’s bus stop . The man at the beach spotted with the children was mid to late 30s . Or stated by some as middle aged to early 40s . He was approximately 6ft to 6ft 1in tall . 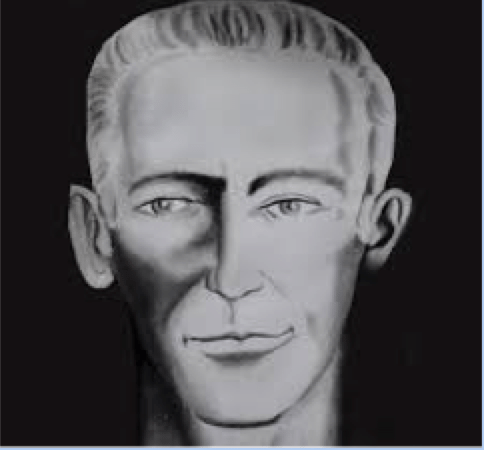 Clean shaven , suntanned complexion .Tall , thin to athletic build with a longish face . High forehead . According to the sketch to your left . The man had swept back light brown short hair and parted to the left side . Clean shaven as mentioned and wearing light blue bathers with single white stripes down either side. He had with him a towel , shirt and trousers that he placed on the park bench . NB :This man was initially described as a tall blond haired surfy . Hair that was in need of cutting .This description has permeated for years in the media . However , this description has never been correct . Also note : The image of the man wanted by police at the time could only be described as a general idea although later a second person that was at the beach confirmed the sketch resembled the man they saw . A female eye witness who got up to walk home around 11.30 am stated the man and the children were still playing on the lawn . Another witness believed the man stated: “Has anyone been messing with our clothes? We have had our money pinched”. After asking the people sitting on the bench and close by the man then returned to the children a short time later . However , this couple had their curiosity aroused when they witnessed the man dress the children . They thought this was strange especially as the elder girl Jane appeared old enough to dress herself . The man then picked up his towel and his clothes and walked in a northerly direction toward the changing sheds at Colley Reserve 130 metres ( 142 yards ) away which were part of the Glenelg Life Saving Club . The children followed him along the cement path way crossing the path that cuts through Colley Reserve where the Colley Reserve Rondavel is located .The Beaumont children waited outside the sheds before walking away with him . This was all in the opposite direction from Wenzel’s bakery and the children’s bus stop . The man did not carry a travel bag . Only a shirt , towel and trousers . No keys nor wallet were spotted. A ground view to the left showing where the children were playing at the back on the side shows and Yacht Club in a secluded corner of Colley Reserve . Showing the park bench one of the witnesses was sitting on. There were several reports regarding a time the children and the man left the beach but the consensus is they left between 11.45 am and 12.00pm approximately .They walked initially in a northerly direction away from their bus stop . From there the man was never seen again. The sighting of the children by the Beaumont Children’s postie Tom Patterson was originally stated around 3pm but this was later changed by Tom where he put the sighting in the morning .This is where Jane Beaumont exclaimed to Tom whilst he was on his bike ” It’s the postie “ Tom saw many children that day calling out ” It’s the postie ” as he delivered as usual many , many letters around the Glenelg suburbs . One can initially excuse Tom for his haziness due to the circumstances surrounding that day . Once he collected his thoughts he was certain her saw the children in the morning . 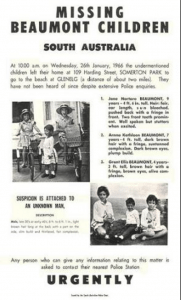 The last sighting of the Beaumont children was also around 12 noon to 12.20pm approximately at Wenzel’s Bakery just off the main thoroughfare of Jetty Road and about 150 metres ( 160 yards approximately ) from where they were last seen playing. This is where Jane Beaumont bought 1 pie ( placed in a separate bag ) 5 pasties , 6 finger buns and 2 large bottles of fizzy drink . 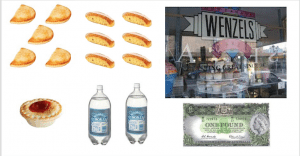 All this with a pound note from Wenzel’s bakery. A lunch for more than four? The Beaumont Children were never seen again. Researched and written by Stuart Mullins.